Vienna, c. 1910. On four balled feet with rectangular base. 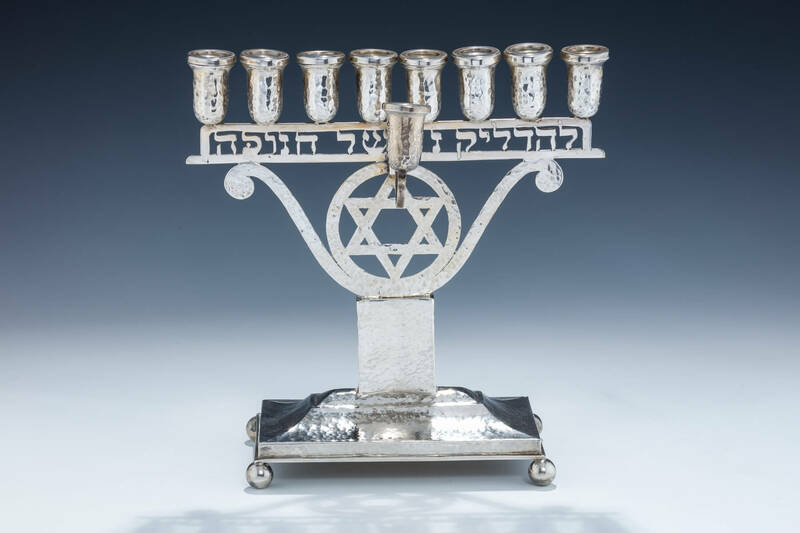 Midsection with carved out jewish star and commandment to light the light of chanukah. Entirely hand hammered in soft finish. 8.6” tall.